Lynette and Josh got married on a beautiful sunny day at Trinity Lutheran Church in Crown Point followed by a fun reception at the Strongbow Inn in Valparaiso, Indiana. Our coverage started the night before with the rehearsal at the church and the rehearsal dinner at the White Hawk Country Club. A couple of emotional toasts during dinner brought the bride to tears of joy. The bride and groom were all smiles on their wedding day and took pictures with Michaela Potterbaum in the Deep River County Park nearby after the ceremony. 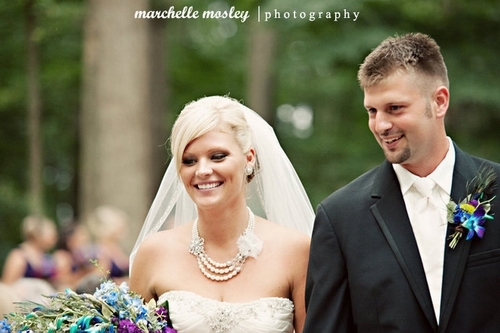 The colorful flowers, from the bride’s dad’s farm, added a wonderful palate of bright colors to the photos. Following their “Thriller” introduction at the reception, the couple had a nice time dancing the night away with family and friends courtesy of DJ Joe Rodenbucher. Jennifer and Ryan’s wedding ceremony took place at First Baptist Church followed by a lovely reception at the Columbia Club. Coverage started earlier that day at the Columbia Club where the bride and groom got ready to see each other for the first time, followed by some fun photos with Jennifer Driscoll on Monument Circle. The ceremony was a more family-oriented affair, with the pastor’s wife joining him for part of the service. Jennifer and Ryan’s parents also joined the couple in prayer before their first kiss. The Columbia Club looked fantastic thanks to consultant Leslie Jones and designer Jim Holland. (Thanks for the referral, Leslie!) The Wendy Reed Band rocked the house as usual. Loved Ryan’s traditional popping of the champagne and the spontaneous chair dance. Redefining the term “last-minute,” I got booked for Haylee & Kyle’s wedding in Coatesville literally the morning of the event. Due to the ceremony being on the family’s property, I was expecting a backyard type of event and was blown away when I saw the enchanting setting. The guests walked around a pond, through a bright red covered bridge and down a path in the woods into a clearing with hundreds of white chairs accented with peacock feather decor. Befitting the storybook setting, the beautiful bride entered the ceremony via horse-drawn carriage. The fun reception took place at the Dixie Chopper Conference Center in Greencastle, and it took me a few minutes to figure out that we were inside a hangar – very cool. 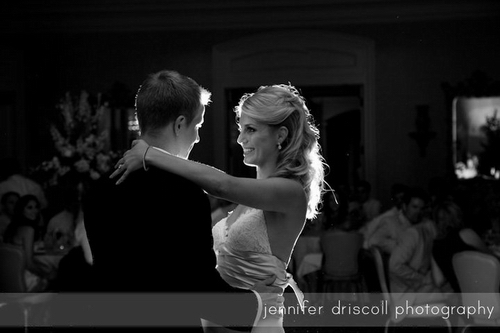 I loved the use of the “Cupid Shuffle” as the bridal party dance song. Photographer Marchelle Mosley was a joy to work with as well. Sometimes last-minute bookings are the most fun. 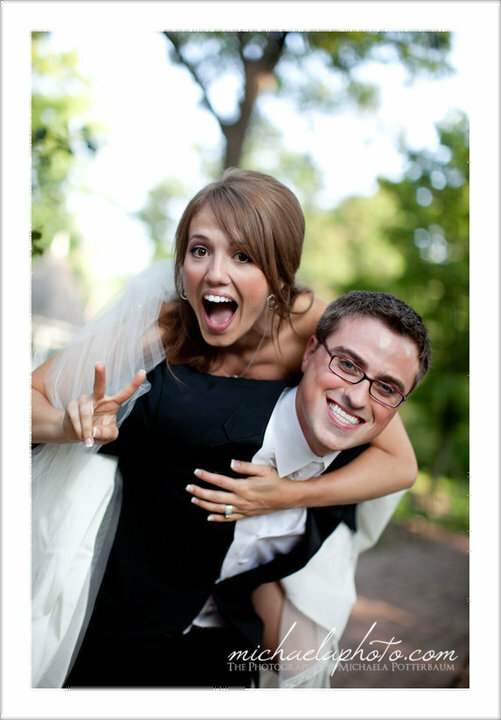 Ashley & John had attended a wedding a weekend or two before their own and realized they wanted to preserve the memories of their big day on video. 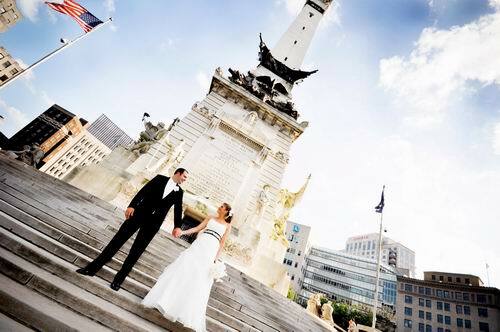 After a cute first-look and lovely ceremony at Plainfield Christian Church, they headed downtown for photos on Monument Circle with Sara & Mallary Photography. The reception took place at the Conrad, whose ballroom was decked out in stunning fashion with orchids provided by Hilltop Orchids. The formalities were highlighted by a surprise “first dance” arranged for John’s parents, who were not able to enjoy a first dance at their own wedding nearly 40 years ago. The great band Living Proof (whose agent Lisa Sauce of Blonde Entertainment referred this event to us) took it from there, and the guests enjoyed singing into the clever “microphones” made from mixing spoons by one of the bridesmaids. 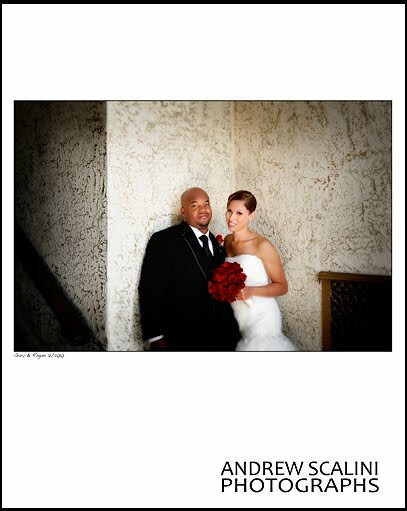 In a year filled with “weddings of the year,” Ragan & Gary’s wedding and reception at the Scottish Rite Cathedral was definitely right up there, with a deeply spiritual ceremony, mind-blowing decor and an amazing couple who were sweet, humble, funny and charismatic all at the same time. Coverage started at the rehearsal, where Gary surprised Ragan with a gift that had to be seen to be believed, followed by dinner with a view at the Skyline Club. After preparations on the big day, everyone reconvened at the Scottish Rite, where the couple enjoyed a rare quiet moment together before some photo time with Andrew Scalini. The gorgeous, intimate ceremony that followed in the theater probably did not prepare their guests for the extravagance that was to come, as Circle City Planners (who referred us – thanks, Darcie! ), McNamara Florist, Evans Audio Visual, Thomas Catering and Heavenly Sweets all collaborated to transform the ballroom into a truly spectacular world never before seen in that elegant space. Ragan & Gary had a memorable introduction to the reception along with the rest of their party, but saved their best entrance for after the early formalities, when they re-emerged with umbrellas and handkerchiefs to lead the guests in a French Quarter style “second line” parade. There was one more surprise remaining for the guests, a stunning “hidden” lounge area featuring mouthwatering desserts and Indy Photo Booths‘ new “flipbook” setup, which Ragan & Gary used to hilarious effect.